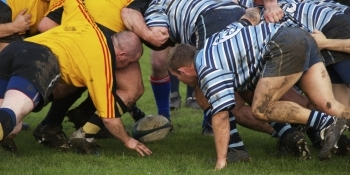 Use the Scrum approach to bring your team together. Does your team "run like a well-oiled machine," or do people struggle to work together effectively? If the latter is true, Scrum meetings could be just what you need to improve team communication, raise motivation levels, and increase efficiency.
. They help development teams respond rapidly to the changes in product requirements that often happen during the course of a project. Teams use short, daily Scrum meetings to plan what they need to accomplish during that day to make progress toward their goal. Members listen to one another's plans, and offer help where appropriate. This increases collaboration between team members, raises their awareness of issues, and helps the team respond rapidly to change. This article looks at how you can use Scrum meetings to help people work more effectively towards a common goal. "Scrum" refers to the method of restarting play in rugby football, after an infringement of the rules or when the ball goes out of play.